With temperatures most definitely dropping, colours changing and leaves falling there really is a sense of “the year’s last, loveliest smile” forming. 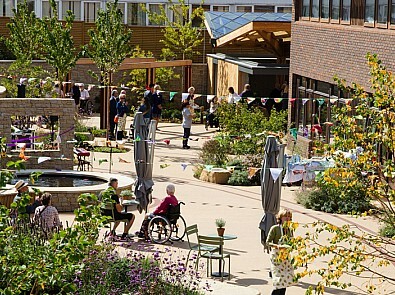 Make the most of this stunning time of year by taking the time to visit a National Garden Scheme garden. 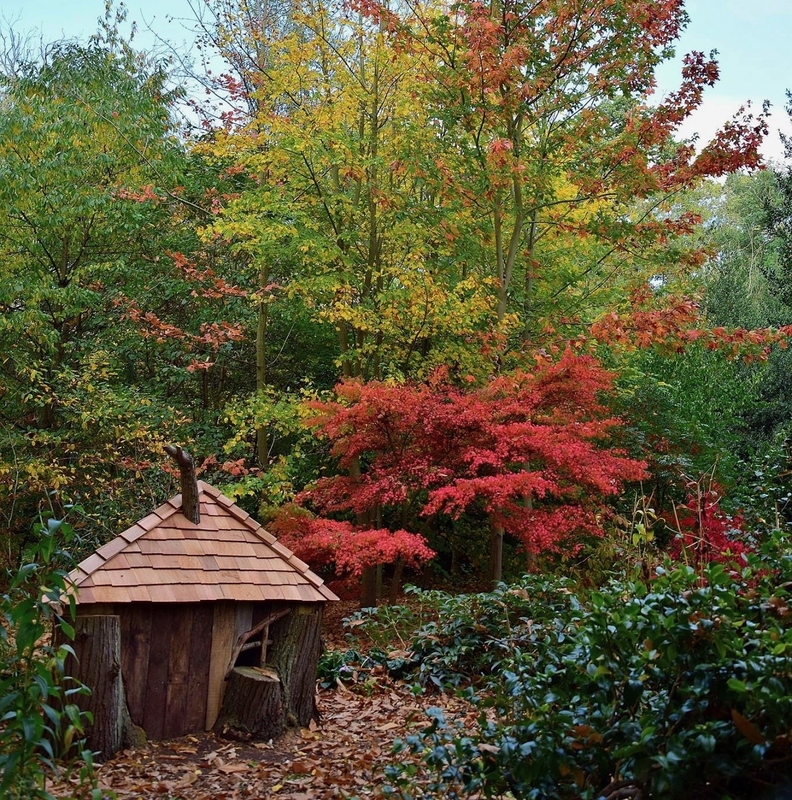 Enjoy a riot of Autumn colour at Millichope Park, Shropshire on Sunday 14th October. These historic landscape gardens cover 14 acres with lakes and cascades dating from the 18th Century, with woodland walks and wildflowers. Mere House in Kent opens on Sunday 21st October and you can expect a wide spread of colour provided by liqidamber, nyssa sylvatica, parrotia and contrasting conifers and evergreen shrubs. 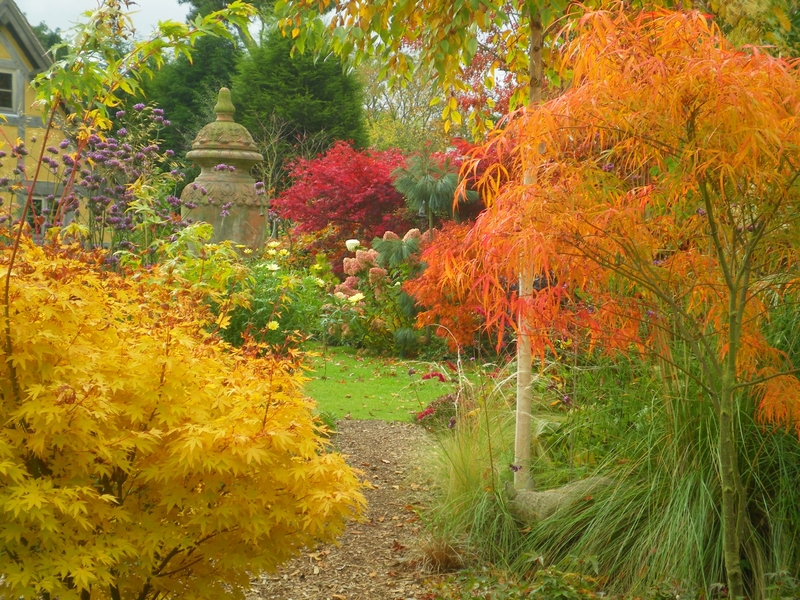 Andrew’s Corner in Devon is a well established, wildlife friendly, well labelled plantsman’s garden in stunning high moorland setting and promises “spectacular autumn colour”. It is very family friendly, with quiz sheet, fairy doors, playhouse, fruit, vegetables and chickens. A great way to start off half term at their opening on Sunday 21st October. Described as a “A garden for all seasons”, Green Island, Essex, is a plantsman’s paradise with 20 acres packed with rare and unusual plants. 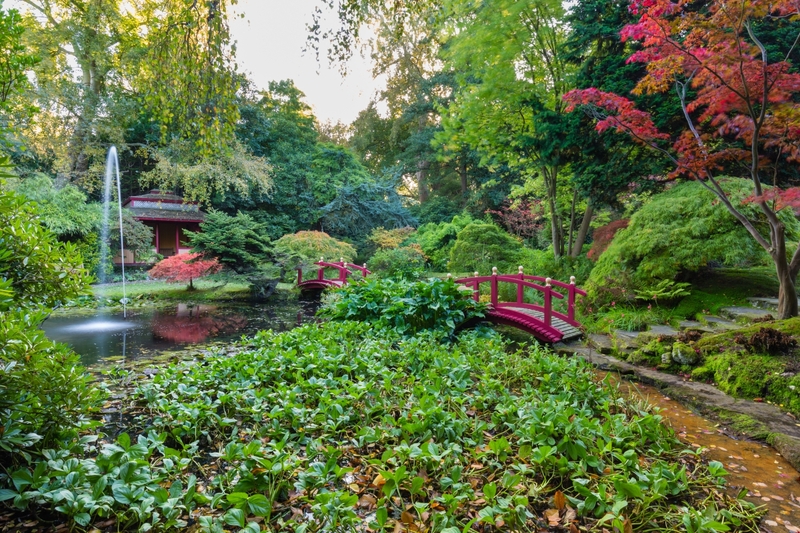 Carved within mature woodland are huge island beds, Japanese garden, terrace, gravel garden, seaside garden, water gardens and extensive woodland plantings. Autumn promises many late flowering perennials and grasses, and the fiery display of autumn foliage lasting until December. In Derbyshire, Bluebell Arboretum and Nursery is a beautiful 9 acre woodland garden with a large collection of rare trees and shrubs. 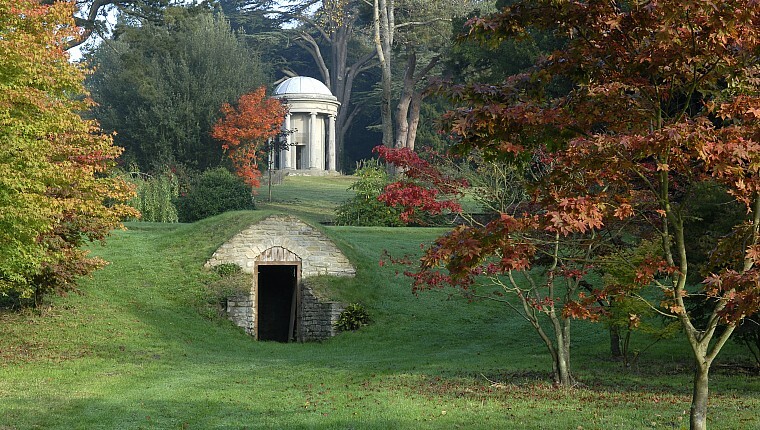 The gardens are particularly striking in Autumn. Many of the trees and shrubs here have been planted for their vivid autumn colours and fruit! In a normal year, the best time to visit for the colour is October although, when the weather in autumn is very mild the foliage can be at its best in early November. 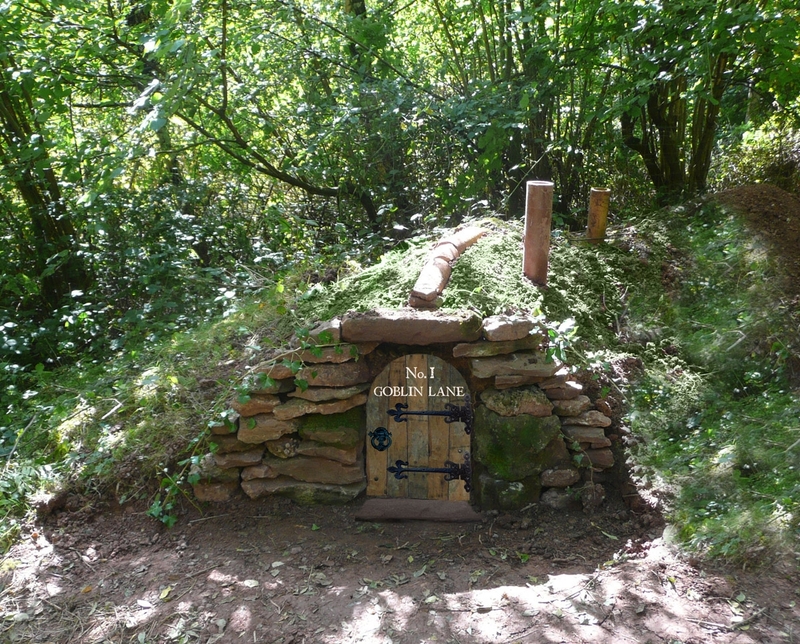 Goblin Wood at Pine Lodge open on the 6th and 7th October. Southbourne and Pine Lodge, Herefordshire are 2 south facing adjacent gardens totalling 4½ acres, with panoramic views over Bodenham Lakes to the Black Mountains and Malvern Hills. At Pine Lodge you’ll find Goblin Wood with 2½ acres of woodland featuring most of Britain’s native trees plus some unusual oaks. 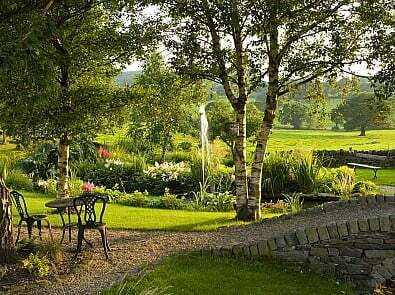 Dingle Nurseries and Garden open 13th and 14th October. 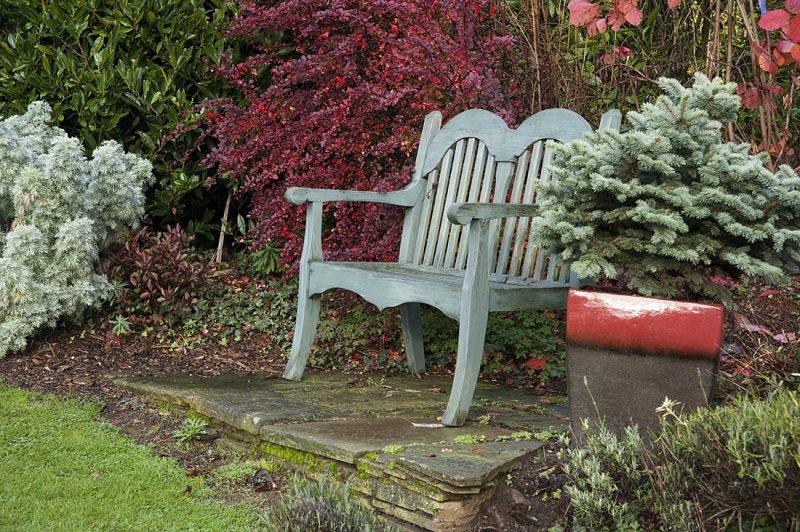 Dingle Nurseries and Gardens, Powys was planned to look good all year round, but pays particular attention to the winter when shapes and evergreens are especially important. As the garden is so well protected from severe weather, Autumn is breathtaking in its beauty. 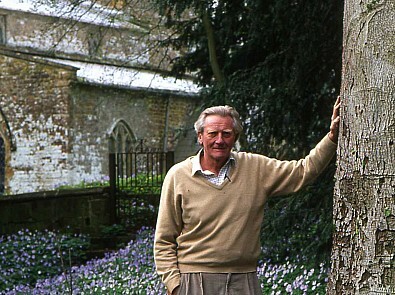 Shrubs and trees can turn colour so slowly and gently, that the very best hues are evident. The Watergardens, Kingston-upon-Thames, Surrey is a Japanese landscaped garden originally part of Coombe Wood Nursery, planted by the Veitch family in the 1860s. There is approximately 9 acres with ponds, streams and waterfalls with many rare trees which, in autumn, provide stunning colour. 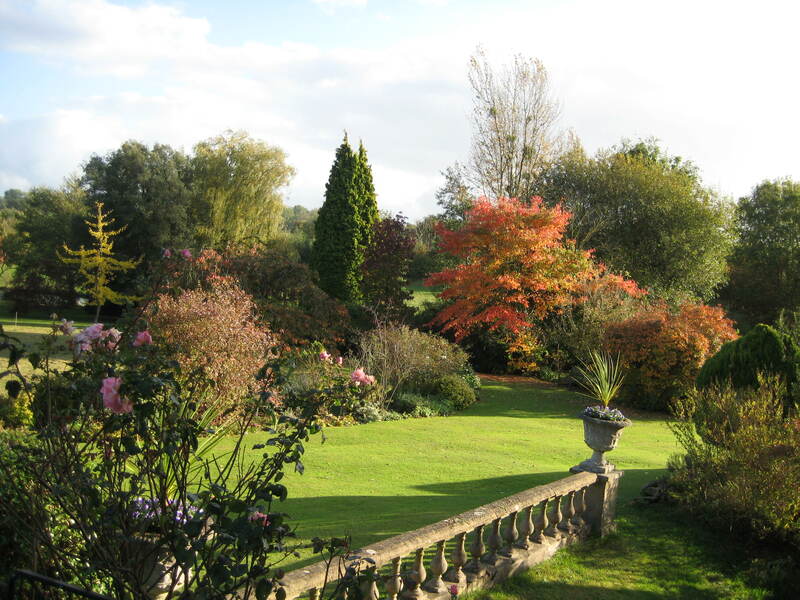 For the tree lover this is a must see garden open on Sunday 14th October. 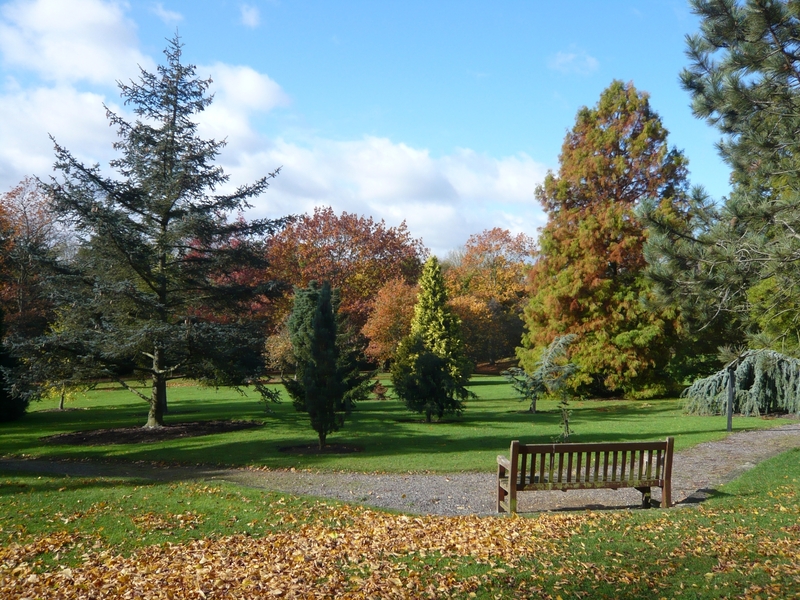 Open for the National Garden Scheme, for over 30yrs, West Lodge Park, Hertfordshire boasts the 35 acre Beale Arboretum consisting of over 800 varieties of trees and shrubs. This includes the National Collection of Hornbeam cultivars (Carpinus betulus) and National collection of Swamp Cypress (Taxodium). 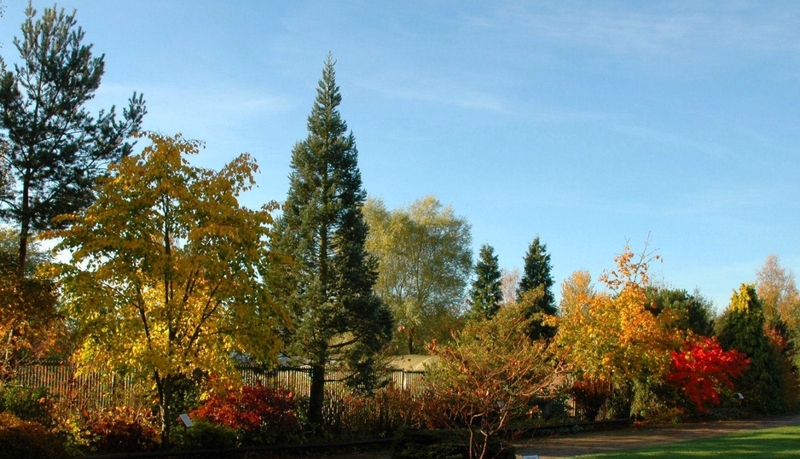 A network of paths winds through a good selection of conifers, oaks, maples and mountain ash – all specimens labelled. Open on Sunday 21st October. 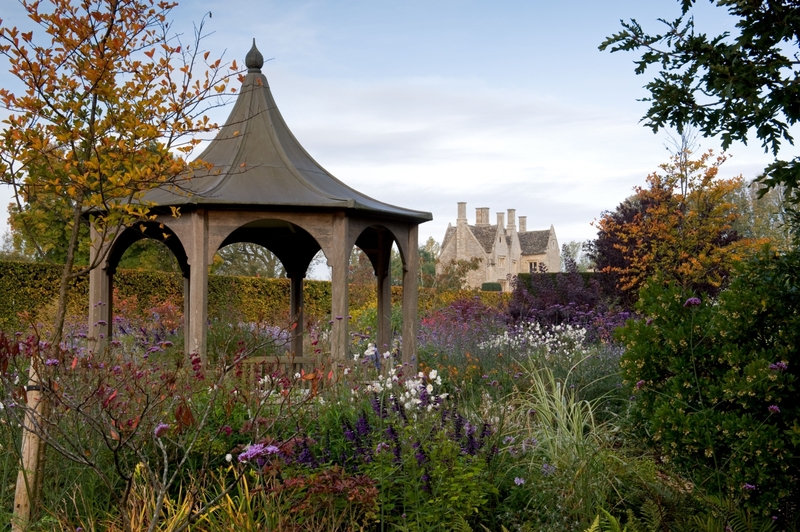 Radcot House, Oxfordshire makes extensive use of grasses, unusual perennials and interesting sculptural surprises to present a spectacular autumn display. And finally, Wild Thyme Cottage, Staffordshire opens on Saturday 27th October. This garden was filmed for BBC Gardeners World to feature Autumn colour and surrounds a self built timber frame house and extends to ⅓ acre. There is a collection of over 120 Japanese Maples with other rare semi mature White bark Birch trees, shrubs and herbaceous perennials. 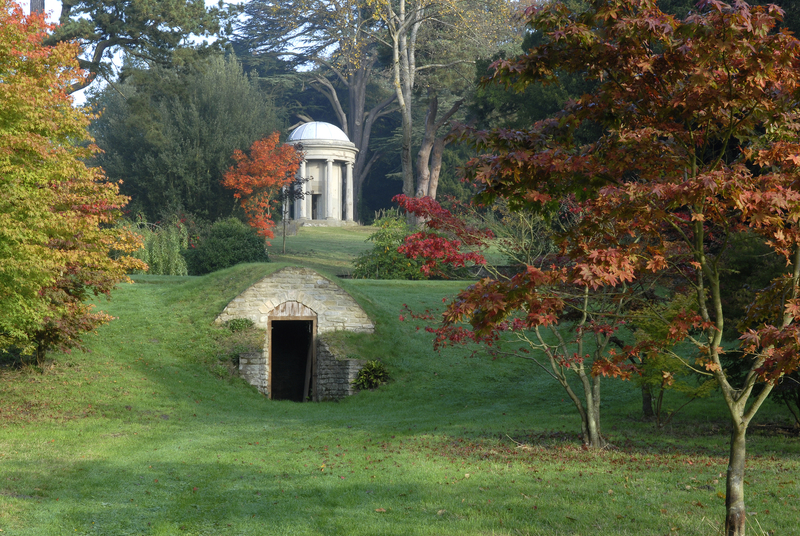 To enjoy more Autumn colour near you visit our Find a Garden page.